Kleefeld on Comics: On Webcomics: Still Up for Grabs! 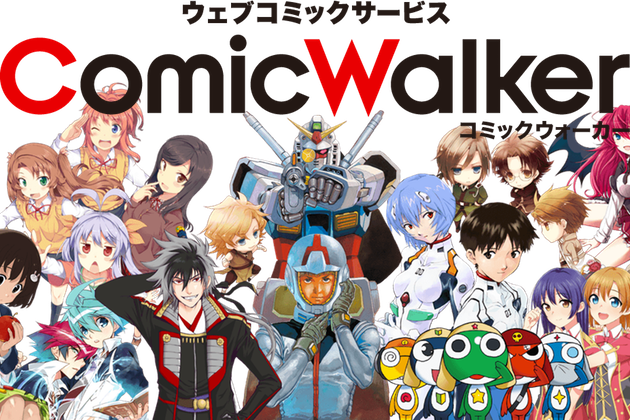 Last week, Japanese publisher Kadokawa announced that it will be rolling out a new service for releasing comics online. You can read more of the details here but the upshot is that they will post the latest chapters of many of their manga online for free in multiple languages. With a two week delay from the print edition. And only for a limited time. After this limited time, the chapters will be archived and available, but only for a fee. The article is actually worded a little awkwardly, so actually many of the specifics aren't addressed very well. It's a little unclear exactly what the update schedule is, for example. And the author seems pretty vague as to whether it's an app or just a website or both. What kind of free structure isn't mentioned. What the actual file format/s is/are aren't mentioned. I've actually looked up a couple different sites that reported on this, and they don't seem any more knowledgeable on those fronts. The only thing anybody really seems to have concrete knowledge of is that it's launching on March 22. That said, I don't know that I've seen this business model in webcomics before. Where the current story is available for free, but "back issues" will be at a cost. The one article claims there's a hope that it will help stem piracy, but I find this hard to see as effective since, even in that same article, the author notes that translated scanlations are already being posted online several days before print editions hit the stands. Also, if this new ComicWalker service/app is providing images though your phone/tablet/computer, how would they prevent people from screen-grabbing each page as it's posted and freely torrenting them after the next chapter is posted? Don't get me wrong, I hope this is successful, but I'm skeptical. Although, admittedly, this is due partly to how vague they're being with the details. I would just think that they'd announce more details this close to launch if they were really confident in their product. In any event, what I find interesting here is that we've got another company trying (what I think is) a new business model for putting comics on the web. What's interesting about that is that, while I think that we've pretty well established that certain business models are or aren't effective, there are still other models out there that haven't really been put to the test yet. In terms of the typical industry lifecycle, we're still only in Stage II where "product innovation declines, process innovation begins and a 'dominant design' will arrive." But we haven't gotten yet to Stage II where "economies of scale are achieved, forcing smaller players to be acquired or exit altogether. Barriers to entry become very high, as large-scale consolidation occurs." I think it's a healthy reminder for webcomickers particularly as they look to successful role models and try to emulate them. While there's nothing wrong with that, and there's much to be learned in that manner, it's not necessarily the end-all-be-all solution to webcomics either. There could well be other methods out there that either haven't been discovered or didn't have quite the right mix of talent/timing to succeed. By all means, listen to what the webcomic veterans have to say, but they're still really only experts in what they themselves have done, and may not be expert in what you can do!